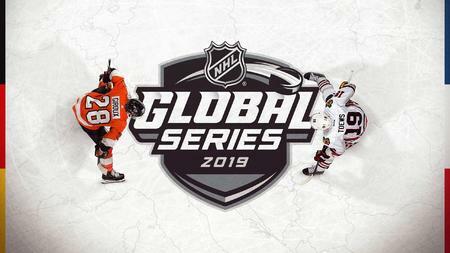 The National Hockey League (NHL) and the National Hockey League Players' Association (NHLPA), have along with Live Nation Sweden, officially announced that the Buffalo Sabres, Chicago Blackhawks, Philadelphia Flyers and Tampa Bay Lightning will participate in the 2019 NHL Global Series. The Chicago Blackhawks and Philadelphia Flyers will play their 2019-20 season-opening game against each other in Prague, Czech Republic on Friday, Oct. 4 at O2 Arena. 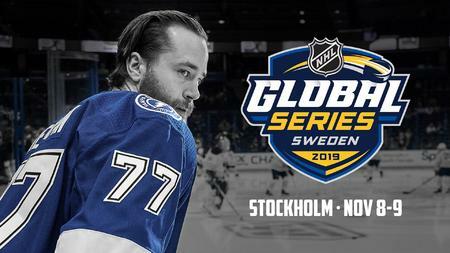 The Buffalo Sabres and Tampa Bay Lightning will face off in a pair of regular-season games at Ericsson Globe in Stockholm, Sweden on Friday, Nov. 8, and on Saturday, Nov. 9. In addition to the regular season games, the Flyers and Blackhawks will complete their training camps in Switzerland and Germany, respectively. As part of their training camp preparations, each will play an exhibition game as part of the 2019 NHL Global Series Challenge. Tickets to the 2019 NHL Global Series and 2019 NHL Global Series Challenge games in Berlin, Prague and Stockholm will go on sale to the public beginning on Wednesday, March 27. Tickets to the 2019 NHL Global Series Challenge game in Lausanne will go on sale to the public beginning on Wednesday, April 10. If you wish to register your interest in tickets and gain access to pre-sale information and more, sign up to NHL Inside the Crease.